Are you wondering what you can plant in September? 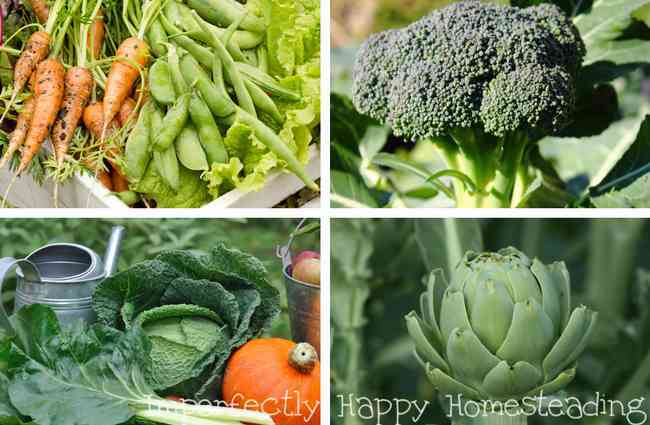 Depending on your zone, you might be surprised at all the vegetables, fruits and herbs that you can plant in September. Let’s get the fall garden going! Before you make in plans for planting make sure your beds have been amended after your summer harvests. 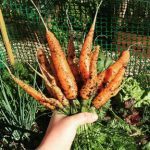 I prefer compost but make sure to check out how you can improve your soil without compost or make your own DIY soil mix for pots, containers and raised beds. Also, it is important that you are careful with your planting, using crop rotation even in your raised beds; for optimal soil and plant health. Be sure you check out my post on plants you can grow indoors all fall and winter too! 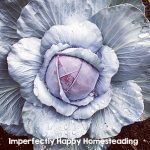 I have a list of everything you can plant, listed by zones, in the month of September. 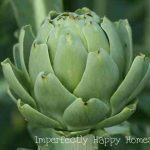 Be sure to check out the other What to Plant Guides for March, April, May, June, July and August. If you aren’t sure which zone you are in click here! Please keep in mind that this is a general list and some are for 2 zones (like 5 & 6). I love to hear what works for YOU in your zone and I try to keep the list as updated as a can, from your suggestions. Thank you! Here in Phoenix the fall is our prime planting time. I am already clearing beds and allowing the hens to dig for bugs in preparation for planting in September. I can wait for that bountiful fall harvest! What is your favorite fall veggie? I live in Charlotte NC what zone would I be in? There is a link int the post to determine that. I live in Zone 6 and I can assure that most of the things on your list can NOT be planted in September. We will almost certainly get frost in mid to late October and the daylight hours are already waning. 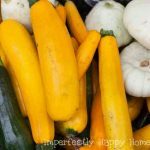 You might be able to eek out a few radishes or continue to harvest lettuce or spinach that is already growing but you certain;y would be wasting your time and money trying to plant beans , squash, peppers,cucumbers, corn or tomatoes. I am blown away by this misinformation. Kathryn – definitely love a first hand gardener’s input. I use about 3 – 4 different resources to put these lists together but nothing like real experience! I agree with Kathryn. No disrespect towards you Tiffany, but I was excited to read. But this is inaccurate. These plants do well in zone 6 during this time, but not by starting from seed. It’s September 1st and my beans are doing great! And Brussel spouts will grow through the first couple frosts, even had it growing late November during snowfall! The difference is, they are established plants already. 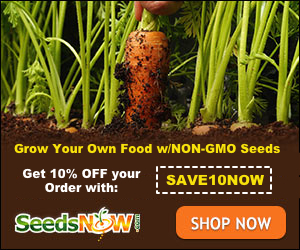 So your recommendations are great with plants that are already established but not from seed, direct sow. You Can plant most of the seeds mentioned for zone 4 but they won’t come up until the next spring. I’ve had a lot of those seeds winter over in my garden and come up as “volunteer” plants the next spring. Very seldom do they germinate in the fall. I’m in zone 7a and you won’t get very far planting tomatoes in the fall. Too cold and days are too short. I guess if you kept them in a heated greenhouse with artificial light you’d be able to get some. For us, right now in zone 7a, lots of leafy greens, root crops such as radish, carrots and beets, as well as planting garlic now to harvest in the spring next year. 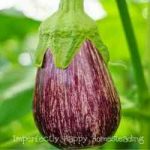 I live in 5B and agree with everyone above – our first frost is generally mid-October so planting in September is not enough time for most seeds to germinate and get established. Please reconsider whatever sources you checked. That said, I sometimes let mustards and dill go to seed during the summer and have had a few volunteers next Spring. I’ve also had a couple tomato volunteers in the Spring and currently have a 3″ tomato (probably courtesy of birds) but it will be dead at the first hard frost – even if I cover it. Late August, I replanted lettuce, peas (Alaska), spinach, spinach mustard, kale (Siberian), radishes which will probably produce before the weather gets too cold. (I think beets and turnips could be planted August as well.) The only thing I’ve planted in September is turnip greens which love the cold and come up quickly. Garlic cloves could be planted now though I usually wait until October and they won’t do anything until Spring. The cole crops on your list (broccoli, Brussels Sprouts, cabbage, cauliflower) might have enough time to produce with good weather but they’d have to be VERY large plants – not seeds. We don’t do corn but beans, cucurbits (cucumber, squash), carrots, onions are planted in the Spring though you might be able to get a second crop of carrots and onions if you are able to harvest and replant in July. We never direct sow tomato and pepper seeds as our growing season is not long enough to get alot before the first frost. Thanks for your input. Would you be willing to send me a list of what you DO plant in September (seeds or transplants)? I am going to edit this list based on the recommendations from other zones. Thanks! I live in Canada. Just about 20 minutes from the border at North Dakota. So that makes us a zone 3. I’m certain none of the plants listed would have a chance planted in September. 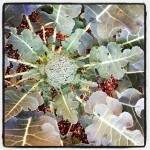 If we do’tt get our gardens in by May or early June they Will struggle to produce for us. Even plants I take inside don’t produce anything cause the daylight hours are too short.